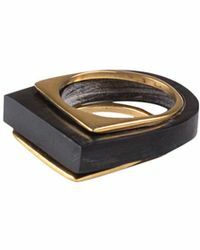 Bringing together handcrafted jewellery designs from artisans from emerging economies across the globe, Soko is a unique platform that believes in bridging the gab between fashion, technology and ultimately, the economic divide. By empowering artisans in local communities across the globe to offer their handcrafted jewellery to a global audience, Soko promotes social and economic growth. From pendant necklaces to earrings and rings, Soko's jewellery is handcrafted from natural and up cycled materials for a stunning and unique look.